A new opening PhD position in artificial intelligence is available at Lund University, Sweden. The funds for this position are available for three years. Applicants should apply before January 15, 2019. Do you want to be part of a research environment committed to address the challenges essential to create a future sustainable society that meets the needs of humanity? Then these two WASP Expeditions positions, one with location at Mathematical Statistics and one with location at Automatic Control, are aimed for you! Controlling the physical world with our mind only, opens up for a vast number of exciting opportunities. Over the recent years, brain computer interfaces (BCIs) have improved steadily, both from advances in algorithms and in hardware. BCIs based on high time resolution electroencephalography (EEG) have a great potential in a wide area of applications. The overarching idea in this project is to apply a tight feedback loop around the complete individualized BCI learning process. By connecting all stages of the learning process, including feature extraction from the input brain data to the classification of neural patterns, the aim is to drastically decrease the problem with long learning times and improve accuracy and reliability. Utilizing and extending a number of state-of-the-art techniques, such as optimal time-frequency representations, Riemann geometry based learning, dual control theory and cognitive modeling combined with edge based cloud computing the intention is to provide an efficient platform for next-generation BCIs, demonstrable within the time span of the project as a consumer-friendly EEG BCI. the opportunity for three weeks of training in higher education teaching and learning. Appointment to a post-doctoral position requires that the applicant has a PhD, or an international degree deemed equivalent to a PhD, within the subject of the position, completed no more than three years before the last date for applications. Special circumstances might in extraordinary cases be applicable. Additional requirements:The working languages are English and Swedish. Excellent skills in both spoken and written English is a requirement for the position. Interest in learning Swedish during the employment in Lund is desirable. We are looking for a person who is flexible and open, willing to cooperate and contribute to the overall working climate. Other basis of assessment are driving force and independence as well as ability to make new connections, communicate and cooperate with colleagues within and outside academia. The position is a 2 year full time post doctoral position. The position is limited in time based on an agreement between the parties at the labor market (trade unions and employer’s organisation). The University is striving for gender equality and therefore encourages women to apply. 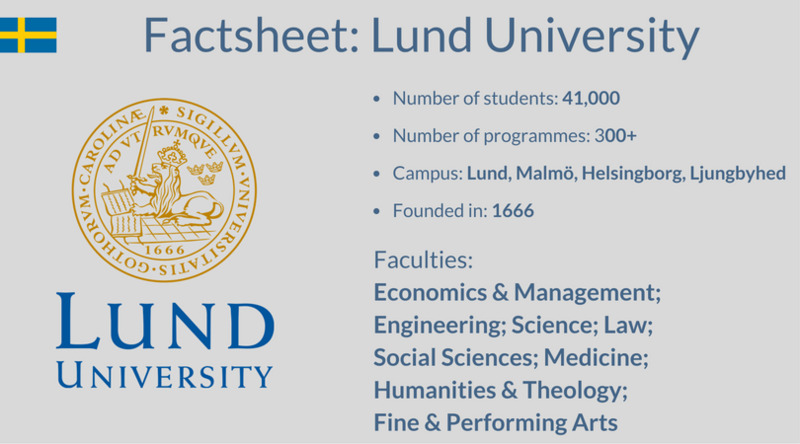 Lund University welcomes applicants with diverse backgrounds and experiences. We regard genderequality and diversity as a strength and an asset.